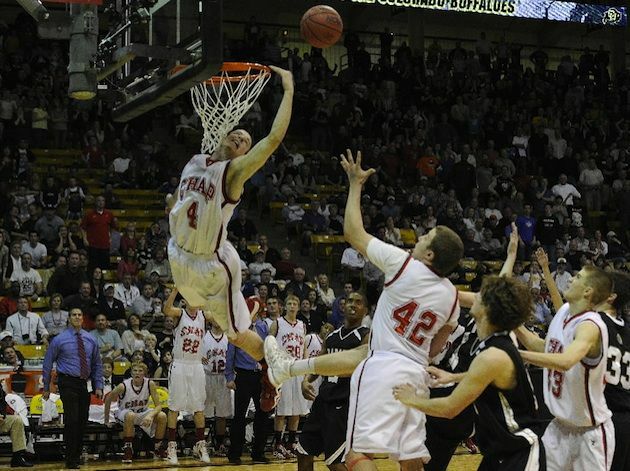 Josh Adam’s infamous “tip” at the buzzer to win the 2012 state title was featured on Sports Center. 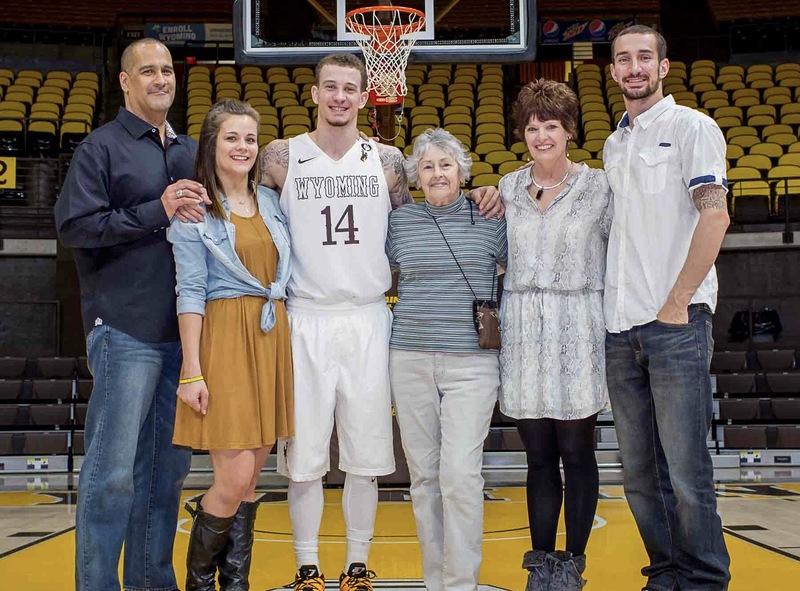 Josh continued his magical career at the University of Wyoming. Early on Josh struggled because he could no longer out-athlete his opponents. After his freshman year Josh’s hard work allowed him to flourish into a productive college basketball player. He averaged 12 points his sophomore year, and his high flying dunks were featured on SportsCenter’s Top 10 twice. As a junior, Josh again averaged 12 points, but played his best basketball when it mattered most. Josh, along with current Los Angeles Laker Larry Nance Jr., led Wyoming to a Mountain West tournament championship and an NCAA tournament berth. 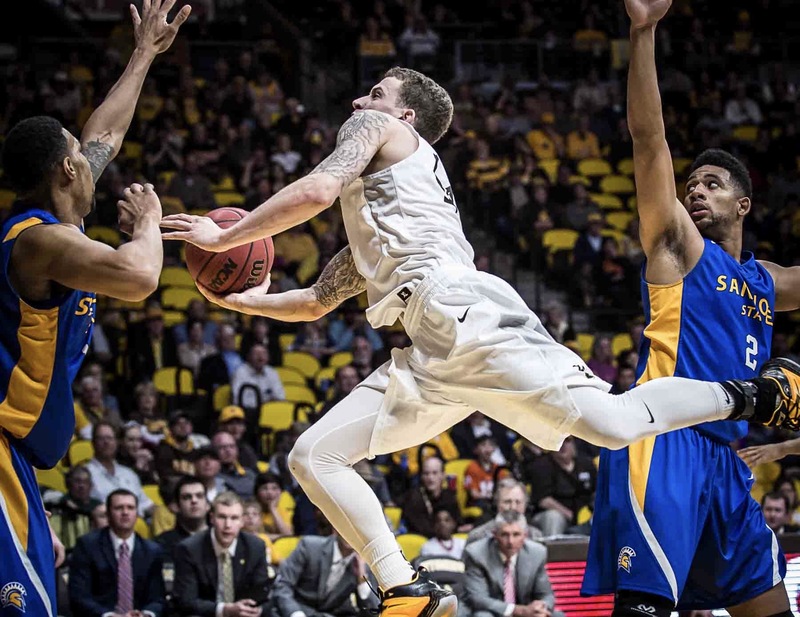 Josh was named Mountain West tournament MVP. For all of the success and breaks Josh experienced in high school and college, Josh’s professional career appeared to get off to a turbulent start. On draft night Adams was assured he’d be picked up in the late second round at worst. The second round came and went and his name was never called. “I was stunned, angry, and disappointed. Many began to advise me to think about playing overseas, but I still believed in my NBA dream,” Adams said of not getting drafted. 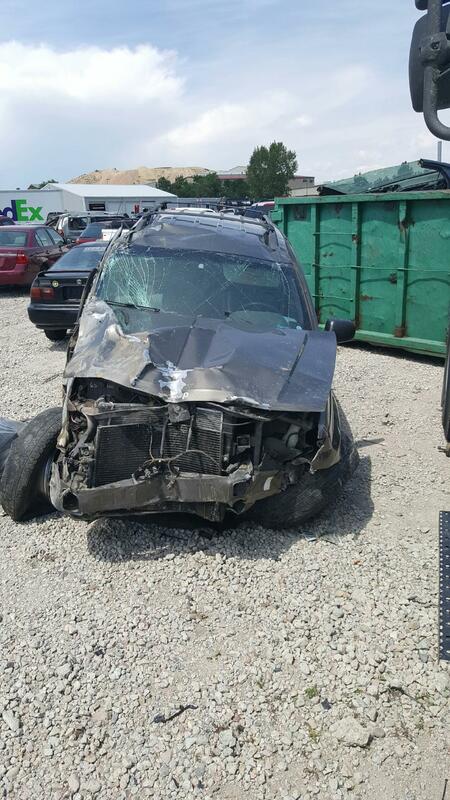 Josh’s car was completely totaled. 47 days after his potentially life threatening accident he was back playing basketball. Josh had just picked himself up from the defeat of not making an NBA roster and had embraced being a professional overseas player. Now, Josh was dealing with a “TKO” blow. Most people would not have rebounded from the damaging blow that came with his car accident. 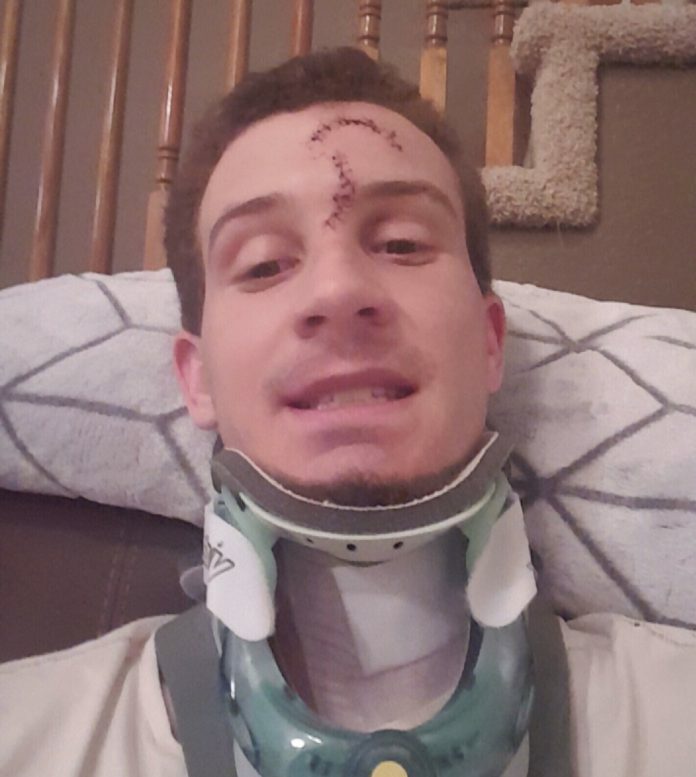 “When I heard the news about Josh’s car accident, my first thought was concern for his health and well-being. Once I knew his health was not in jeopardy, I knew that Josh was going to overcome this obstacle. First, I believe in God and His miracles. Second, Josh is the most resilient person I’ve met in my life. He’s overcome the odds ever since I’ve known him” says former high school teammate Cory Calvert. Josh began to feel sorry for himself and had every reason to – he didn’t get drafted, he didn’t make an NBA roster, and he almost lost his life. Josh eventually changed his disposition and realized he had a lot to be thankful for. 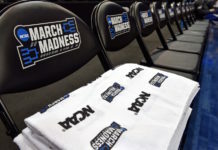 The doctors informed current Los Angeles Laker, and Josh’s former teammate, Larry Nance Jr. that Josh was centimeters away form being paralyzed. “I realized I should have been dead, I should have been paralyzed, my playing career should have been over, but God spared my life and my career.” Along with Josh’s career being spared, his contract was honored by BC Avtodor, something that rarely happens overseas. Once Josh was released from the hospital he knew he had a long road to recovery. Josh was very limited with movement and had to wear a neck brace. For the first time in his life he wasn’t superman. “I felt like a super hero for most of my life, but now I had no super powers. I couldn’t even go to the fridge and get a glass of water. I had to rely on those that truly loved and cared for me to support me. They held me down and I couldn’t have made it without them.” Them, includes his immediate family, Chaparral coaches, Wyoming coaching staff, former teammates and his basketball trainers. 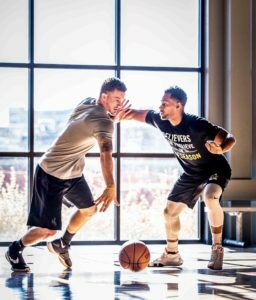 47 days after his wreck Josh Adams trained with A N’ A basketball. It was his first time touching a basketball since the wreck. “Touching that ball was pure ecstasy.A few days prior, Larry told me that doctors had explained that I was only a few centimeters away from being paralyzed.” Since that first workout Josh has progressed daily. As his trainer I’ve never seen anything like it – he hit the ground running on day 1 and has yet to look back. During Josh’s recovery he made being a mentor a priority. 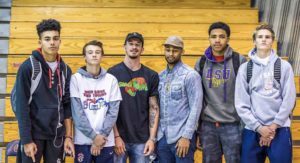 He volunteered his time at student-athlete Bible studies that have allowed him to take some of the top high school basketball players in the area under his wing like Sam Masten and Jaizec Lottie. 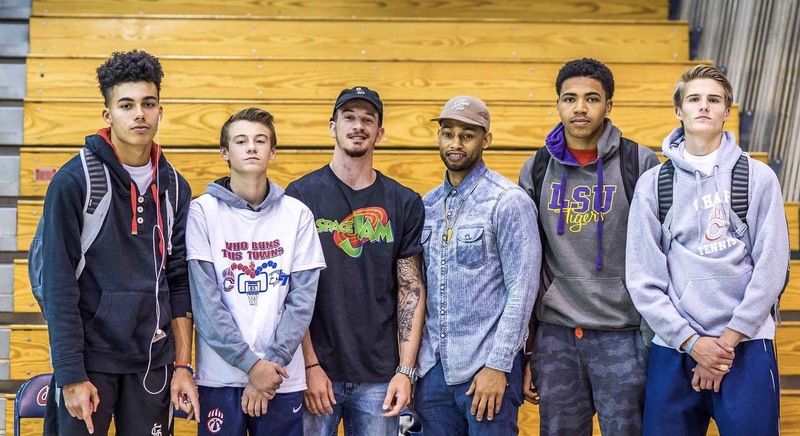 He has volunteered his time as a skills coach for A N’ A basketball, the program that developed some of Colorado’s top basketball players including Eric Garcia, Drick Bernstine, and Josh Perkins (all of which visited Josh after his accident). He has taken time to cultivate the talent at his alma mater, Chaparral. Once Josh was released to go full speed he set up a work out with his trainers at Chaparral to show the current players what it took to be great. 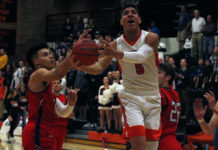 “Having Josh around to not only tell our players what hard work is, but also show them what hard work looks like was priceless.” Chaparral athletic director Rob Johnson said. Josh (center) with current Chaparral high school members. He has taken time to mentor the young players in the Chaparral program as well as around Denver. 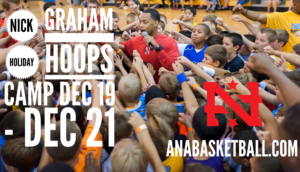 About the Blogger: Through A N’ A basketball, which Nick founded in 2009 he has trained youth, prep, college, and professional players from all over the world. Nick has been featured in Slam Magazine, developed and starred in interactive training videos for Spalding. Nick traveled to the 2016 NBA All Star game to provide youth players in the Toronto community with NBA All-Star training. Nick also led camps for NBA stars Chris Paul, DeMar DeRozan, and Chauncey Billups. 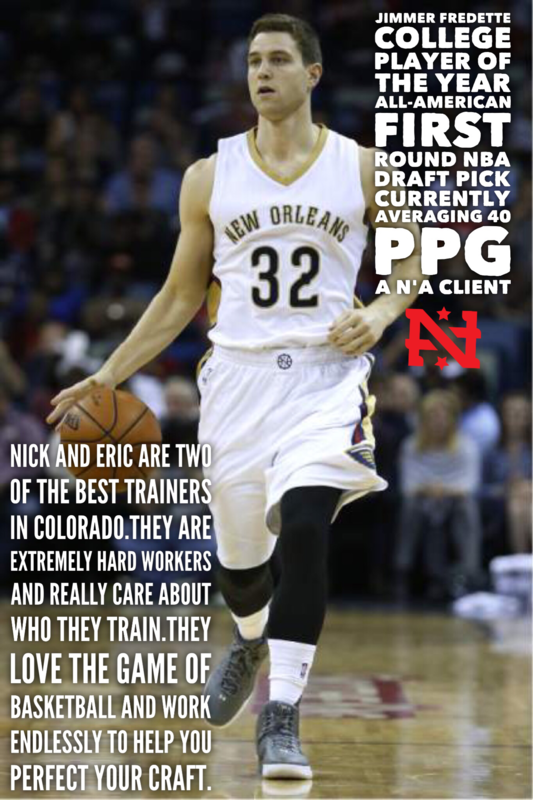 During the off season Nick trains Ty Lawson, Jimmer Fredette along with many other college and professional players. Nick is mentored by Chauncey Billups and also assists Chauncey in training NBA All-Star Kyle Lowry. Nick’s A N’ A program has training programs for players of all ages and skill levels.